There are folks who like brown/mushroom gravy inside, outside, and on the side of their meatloaf. And there are those who love meatloaf to come sporting a shiny red cap of glaze. I actually have a Kitchenaid, but other than that, this looks exactly like me when cooking. But there are the enlightened ones, those noble humans whom, like myself, have love for both varieties. The Kid? Not so much. That child likes red meatloaf about as much as flat beer and the heartbreak of psoriasis. If it ain’t brown, The Kid ain’t down. There is one little logistical glitch, though, with red meatloaf. When I make brown meatloaf, I start by making a nice, rich mushroom gravy. I then use it in the mix, I ladle it over the top for baking, and spoon it over the mandatory buttermilk mashed potatoes. And no matter its complexion, with an old school protein like meatloaf, potatoes are in fact, mandatory. French fries just don’t work. It’s like black suede boots with a white eyelet dress. Baked potatoes are an option, but fully dressed is an awful lot of starch and fat. And red meatloaf isn’t terribly flashy as a main, you don’t want it to disappear completely next to the showgirl that is a loaded spud. My answer is to serve braised baby potatoes. Throw everything into a large heavy pot with a lid. Cover and cook on medium until the potatoes are fork-tender (15-20 minutes), stirring frequently. Uncover and let the liquid cook down into a thick, buttery sauce. Right before service, stir in herbs and check for seasoning. Makes 4 servings. I’ve broken down the meatloaf into small steps.You can do them early in the day; or even the day before, then put it together right before baking. Heat a skillet and add veg oil. Put in chopped onion, thyme, granulated onion. Cook until onions start to brown around the edges. Stir in tomato paste. When the paste darkens, pour in Marsala. Let the wine cook out, then take off heat. In a large bowl, place in bread crumbs, eggs, Worcestershire sauce, and horseradish. Add cooked onions. Mix everything with vigor until it is a homogenous mass. Break beef into large chunks and put in bowl. Using clean hands or disposable gloves, mix meat and bread crumb mix until it is completely mixed in. Form into loaf shape. Take out ½ cup of ketchup and set aside. Whisk together the other half cup of ketchup and the rest of the glaze ingredients. Spread 1 tablespoon of this in the bottom of the dish in which you’re baking the meatloaf. Using a paint brush, paint the glaze all over the meatloaf. Bake at 350 for 40 minutes. Remove from oven and pour/paint the plain ketchup on the top. Return to oven and bake 30 minutes more. Remove from oven and let rest for 20 minutes before service. Serves 5-6. I served this with my cool, crunchy broccoli salad. Place bacon on parchment-lined rimmed baking sheet. Put it in the oven, then set oven to 350 (if you put the bacon into a hot oven it will seize up and never fully render; it also keeps the slices flatter). Cook for 15 minutes, flip each piece over and cook until it is golden brown and crispy. Remove from oven to a paper-towel covered plate. Reserve ¼ cup bacon grease for dressing. While the bacon is cooking, cut the broccoli into small, bite-size florets. Place into a large bowl with half the cheese. For dressing, whisk together mayo, bacon fat, and parmesan. Thin with hot water, a little at a time until it’s the consistency of pancake batter. Mix into broccoli until it’s lightly coated. Refrigerate until service. Makes about 8 servings. If you have leftovers, the meatloaf makes epic sandwiches. Just slice and put it in a hot skillet. Cook until it browns and forms a crust. Flip and cook the other side then melt a thick slice of horseradish cheddar on it. You know, I’ve been thinking about that “three kinds of meatloaf people” philosophy, and I think I need to amend it. What if you don’t eat red meat? Or you like it cheese-stuffed, or bacon wrapped? Maybe you like it spicy, or Horrors! 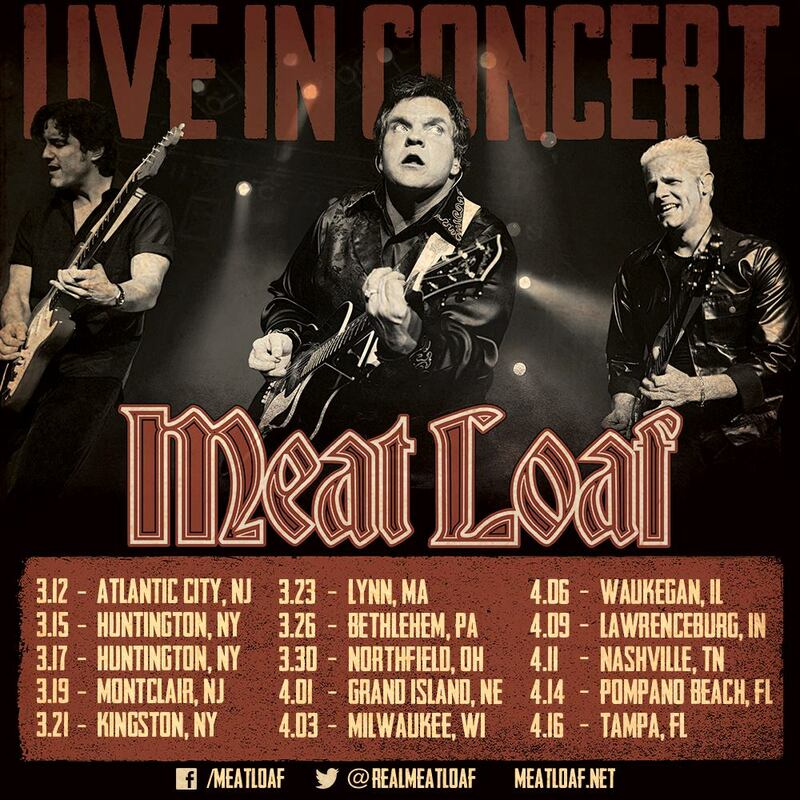 What if you actually don’t like meatloaf at all? You know…there is one meatloaf that I could live without.